This is the second story in a three-part series profiling the United States Digital Service (USDS) and its team at the Homeland Security Department (DHS). Read part one here. The United States Digital Service (USDS) is one of the federal government’s major tickets to IT modernization. By updating government services to reflect the technological advancements that have permeated daily life for Americans, USDS has made it easier for citizens — and prospective citizens — to interact with their government. USDS has teams at several federal agencies, including the Homeland Security (DHS), Defense (DoD), Health and Human Services (HHS) and the Veterans Affairs (VA) departments. Through its work with each, USDS has improved a number of digital government services that have benefitted government employees and citizens alike. Currently, DHS Digital Service is working with the Federal Emergency Management Agency (FEMA) to streamline processes for grant requests. FEMA provides roughly $10 billion to citizens and first responders affected by natural disasters, allowing the country to prepare for, respond to and recover from natural disasters. Revamping the grants management process will allow applicants across the country to apply for and receive grants more efficiently, increasing access to much-needed resources for victims of natural disasters. “FEMA has 10 different legacy grant systems which, for the most part, don’t really talk to each other,” James Punteney, USDS’ Director of FEMA, said during an interview with GovLoop. 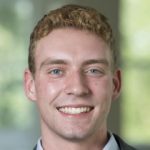 He explained how USDS is looking to condense those systems to make grant applications for both individual and public assistance more accessible, as well as the importance of each. Individual assistance is for citizens who have been affected directly and need a grant for handling disasters. Public assistance goes to governments or companies to rebuild roads, manage electrical grids and handle other pressing issues. Disasters such as Hurricane Florence further establish the need for FEMA’s grant service. With nearly $100 billion in damage, a large portion of which is uninsured residential loss, both individual and public grant applications will see a significant increase. DHS Digital Service wants to make sure that all of those applications are handled efficiently so that victims can resume their lives as quickly as possible. Once FEMA has issued those grants, another issue the team wants to tackle is tracking the effectiveness of those grants. This success has made it possible for 50 percent of immigration applications to be handled digitally, up from 10 percent in 2014. USDS has also worked with other divisions across DHS to similar effect, bringing modernization and innovation to improve processes for DHS employees and anyone who interacts with the agency. 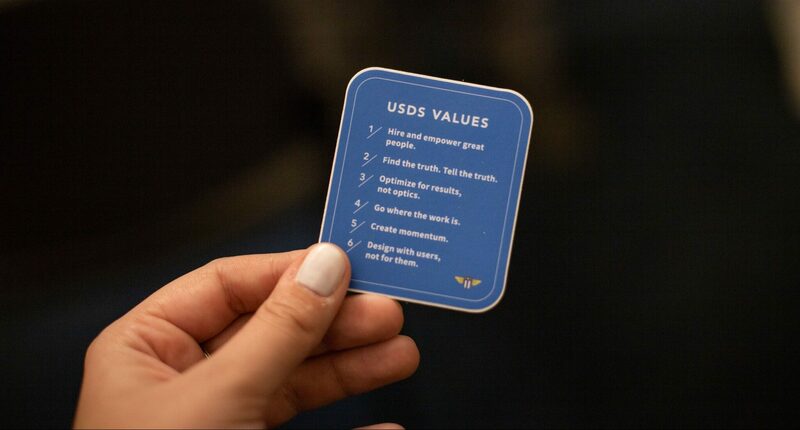 To succeed in their efforts, USDS team members are guided by six values and take on projects that adhere to their beliefs of who they are and what they need to do. Their user-centered approach is made clear within these values and in the jobs they tackle and results they’ve delivered. “Go where the work is,” “Find the truth. Tell the truth” and “Design with users, not for them” are three key USDS values that represent what they seek to accomplish. USDS goes after the difficult jobs that need to be done, confronts the problems that it sees and works to facilitate a better experience for users to improve lives. Founded as a small team in 2014, USDS has quickly become a critical component to a number of federal agencies, helping to fix important systems for millions of people. As Matt Cutts, Acting Administrator, USDS, wrote in a 2017 report to Congress, there are still a number of opportunities to modernize government services, and USDS will continue to take them on.